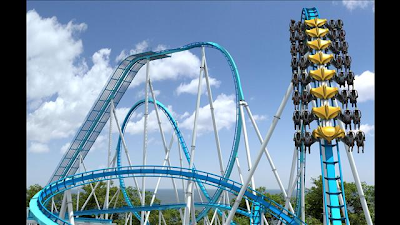 The GateKeeper is coming to Cedar Point. We'll be there, will you? WKYC (photo source) has a photo gallery up if you're interested in seeing it. One wild ride for sure. Woah! I'm not a rollercoaster person, so that scares the crap out of me just thinking about it! Never in a million years or all the money in the world. I hear that's one of the best parks in the US! Have a great time! I always wished I were a roller coaster person, but it's not happening. Ever. Looks exciting, doesn't it? But not for me. Hope you have fun. Looks awesome...but I'm a roller coaster chicken! I'm a roller coaster chicken too. My teen daughter did convince me last year to join her and my back has been out ever since. Thanks for linking up for WW. Hope to catch up with you again next week. This makes my stomach roll just looking at this pic!! We used to live only a couple of hours from there but those days are long gone. Happy Spring to YOU! Will you actually GO on that Rosie? Oh, wow, I can feel my stomach doing flip flops just looking at the pic. Can't imagine what it would be like to ride it! Great photo! Wonderful pictures, I like the colors. Excellent photo! That does not look fun to me, but I bet my husband would love it. He's a roller coaster person for sure. He says he's going to try to get Elliott to try some "scary" rides this summer at Silver Dollar City while we are visiting our parents, but so far he has shown no inclination whatsoever to ride much more than kiddie rides. My husband even said he's going to tell Elliott that we aren't going to go to Universal Studios (we were planning on going this summer, but had to change our plans) until he rides a roller coaster with him in Missouri! Ooooh! I would love a go or 3on that heheh! I used to be a huge fan or roller coasters. Now it's not a big deal if I go on them or not. Maybe that will change when we take Rey to Disneyland the first time or something. WOW! That roller coaster looks amazing! Wish I was close enough to be there! lol...my heart is pounding and my stomach is lurching just looking at that picture...but I would definitely try it...once! Hmm...looks like it could be fun. 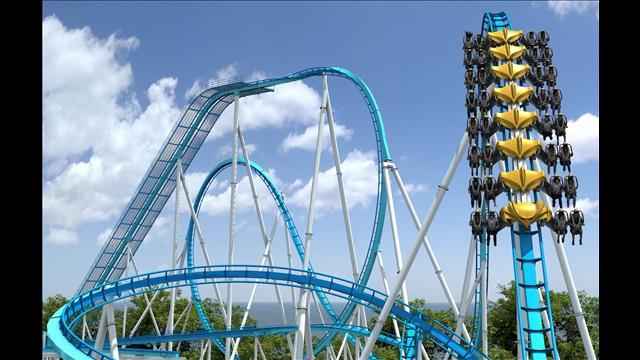 :) You're lucky you live near Cedar Point. I hear the rides are legendary there. No. Just no! I am scared of heights so roller coasters are not for me! Hope you have fun! Looks beautiful but I am afraid of heights Rosey. I hope you and your family have a whale of a time. I get chills just looking at this. I can't do roller coasters. Ever. My folks put me on one when I was little and I don't think I ever got over the trauma of that experience. I'll just leave the roller coasters to my kids! my kids are working at hershey park this summer..and they are huge roller coaster fans....this one looks like a winner!! No way!!! Besides, my back can't take this!! woah that looks like an amazing ride! I love roller coasters! Yikes! That looks freakin' terrifying! No! No I won't. My roller coaster riding days are over! LOL Although, that one actually looks kind of fun. I just hate all the other ones there with the huge drops. I'll go upside down any day of the week, but hate big drops. We STILL haven't taken our kids to Cedar Point. I'm not sure it would be worth it just yet. I think it would be fun, I know for sure that my husb would not go on it but my brother would love it. We need Allison to grow 2 more inches before we plan our Cedar Point trip. She is a little thrill devil and would be upset at missing out on some of the coasters due to height restrictions. But looks like raucous fun!